Le Liu, daughter of prominent piano pedagogues, was born on the 25th of February 1985 in Nanton in the province of Jiangsu in China. 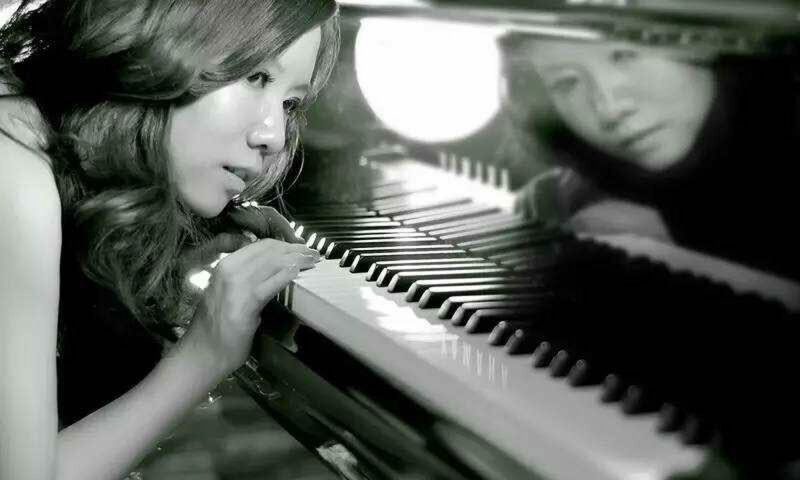 She began her piano studies at the age of 4 with Jian Yu, continuing from the age of 9 to to the age of 17 at the Shanghai Conservatory of Music under Siyi Wu and Shuang Xiao. In 2002 she enrolled at the Joseph Haydn Conservatory in Eisenstadt, Austria to study with Ralf Heiber. 2006 she transfered to Roland Keller at the University of Music and Performing Arts in Vienna. In 2012 she received her master’s degree with distinction. In 2014 she got a postgraduate degree. Between 2005-2012 Le Liu took master classes and private lessons with Guillermo González who is a third generation disciple of Maurice Ravel, and with Pierre-Laurent Aimard to get deeply acquainted with Spanish and French music. Paul Badura-Skoda who studied Frank Martin’s piano works in close cooperation with the composer while he was still alive, and such is intimately familiar with the composer’s ideas, provides her with an authentic link to the original intentions of Frank Martin’s music. A tradition, she intends to carry forward to future generations of pianists. 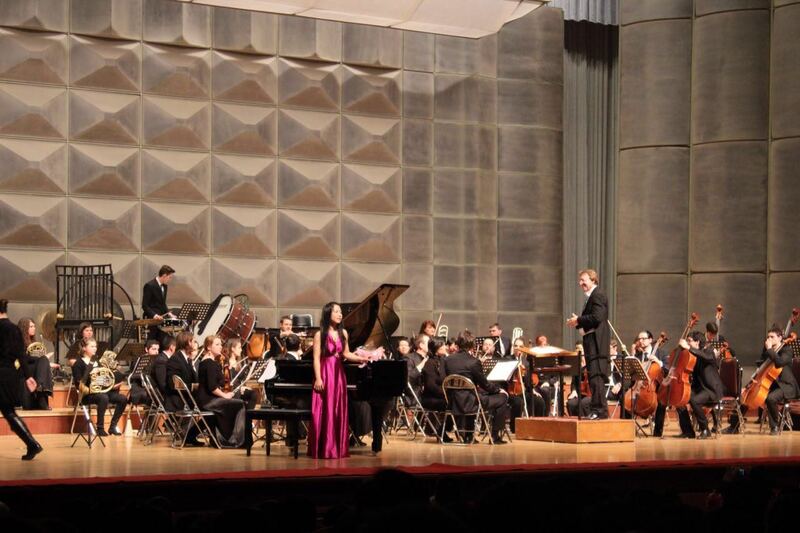 Le Liu was awarded the Bösendorfer Scholarship in Austria, the Thyll-Dürr Scholarship in Switzerland and the Tokyo Fundation Scholarship in Japan. She was awarded prizes at the Jaen International Piano Competition in Spain, the Val Tidone International Piano Competition in Italy, the Josef Dichler Piano Competition and the Gradus ad Parnassum Competition in Vienna. In 2007 she won the first prize (Grand Prix de la Ville de Paris) and a special prize at the Olivier Messiaen International Piano Competition in Paris. In 2014 she got prizes for the best interpretation of the Sonate pour piano by Henri Dutilleux and of the Sonate de guerre by Olivier Greif at the International Piano Competition in Orléans, France. The Henri Dutilleux Association appointed her to be the first pianist in residence. She gave master classes and concerts for three months in France. She gave solo recitals or other performances at the Theatre des Bouffes du Nord, at the Opéra Bastille, at the Cité de la musique, at the Chateau du Rivau, at the Palais Auersperg, at the Palais Tedesco, at the Vienna Radio Concert Hall, at Musikverein, at Schönbrunn Palace, at the Volkstheater, at the Off Theater, at Klangspuren Festival, at la Meiji Festival, at Grafenegg Festival and many more places. She performed with orchestra under Pierre Boulez, Jean-Bernard Matter, Peter Burwik, Leo Wittner, Peng Jiapeng, Juanzi Yi. 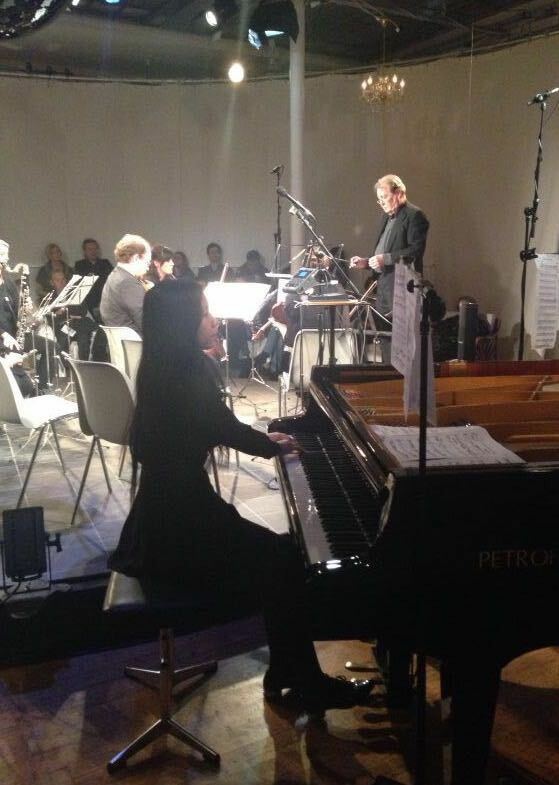 Interviews with Le Liu as well as reports on and live broadcasts of her performances could be seen on television or heard on radio (Austria: ORF, N1; Europe: EuroNews; China: Nantong 1).